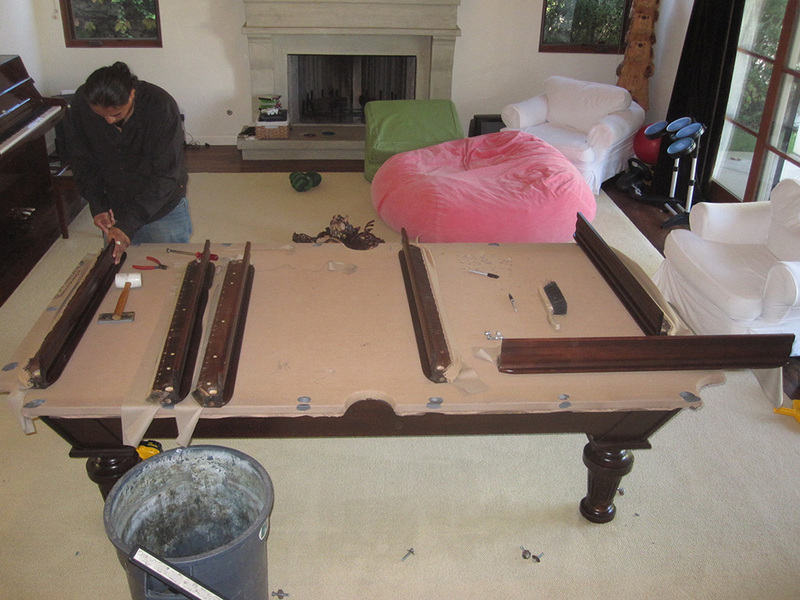 Here’s a refelt job we did last week in Newport Beach, CA. 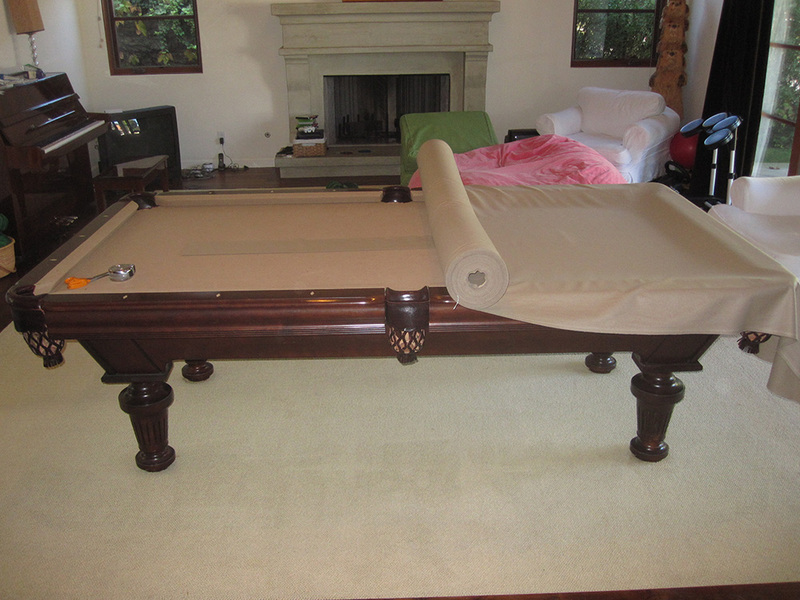 This eight foot World of Leisure was originally installed with camel colored cloth. 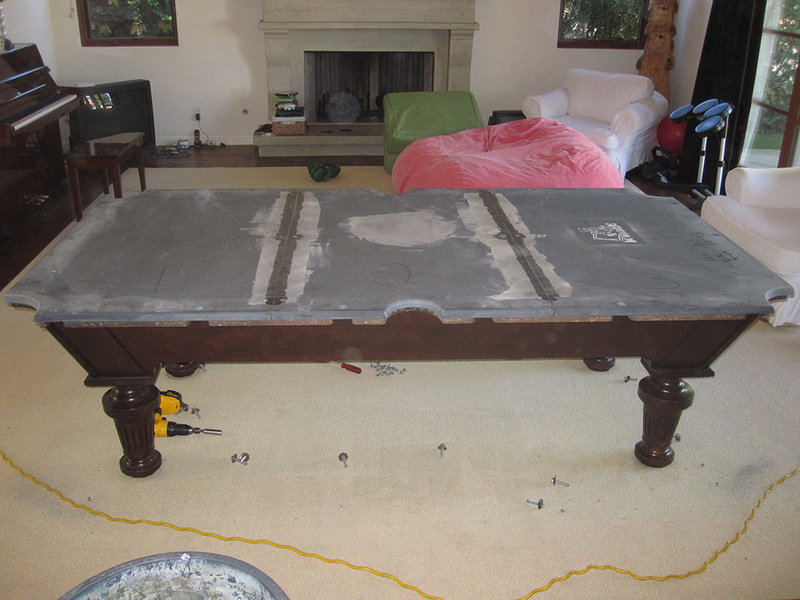 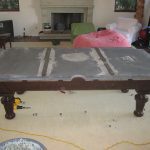 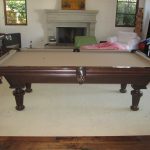 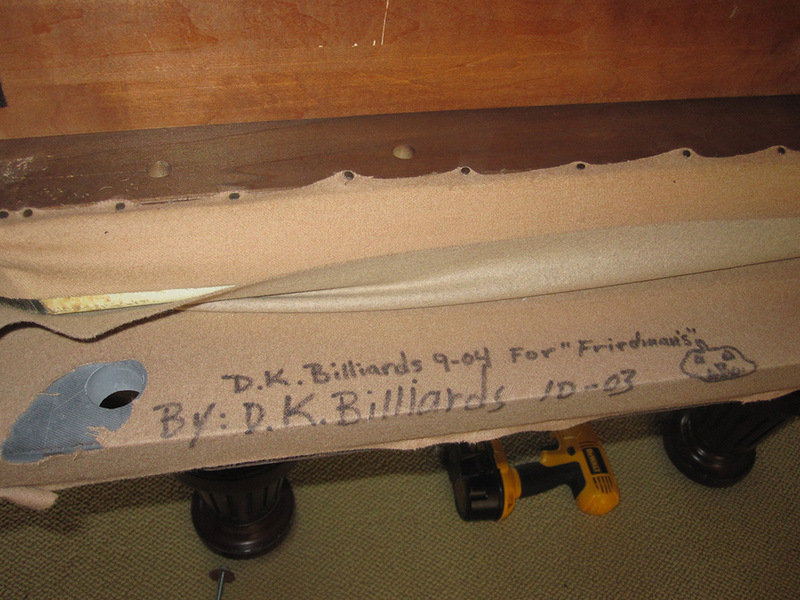 We moved this 8′ three piece slate pool table for two different owners. 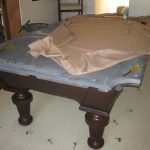 The old camel cloth was about 12 years old now and really need to be replaced. 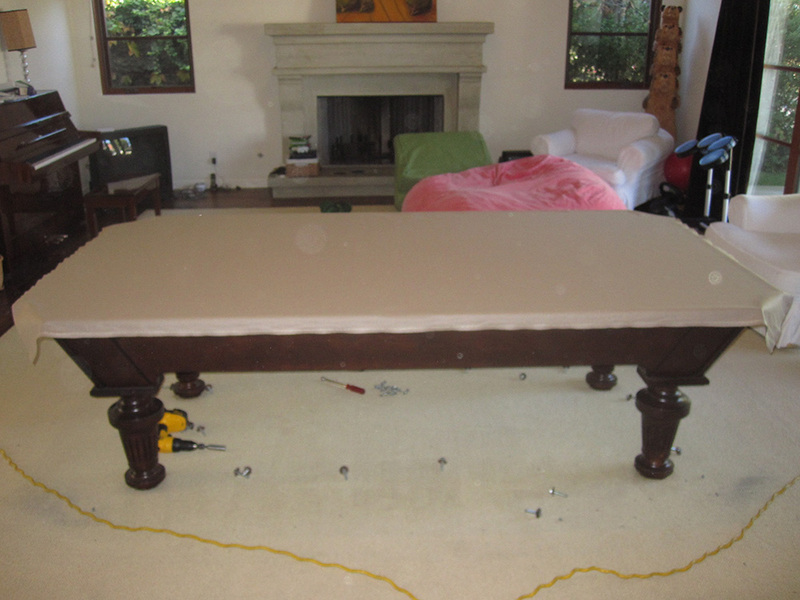 The current owners decided to go with a khaki colored felt. 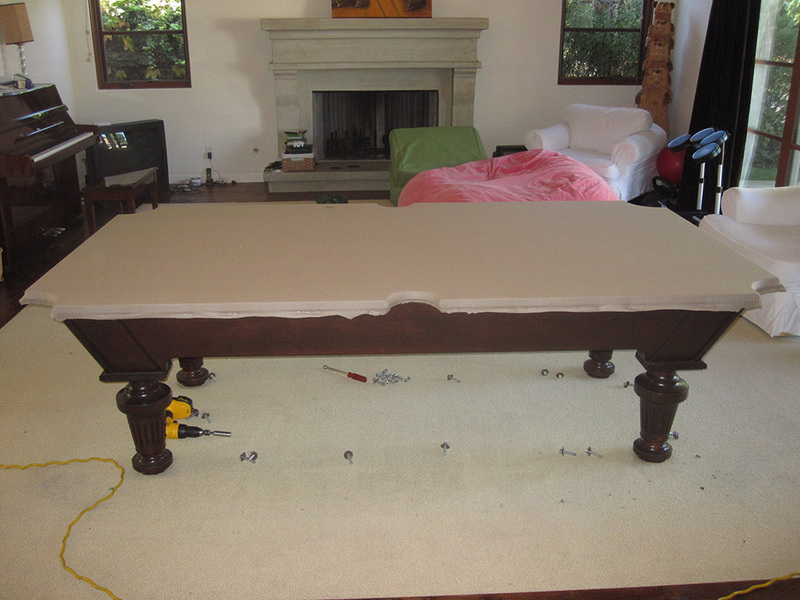 It looks almost the same in these pictures, but in person khaki is much lighter in color. 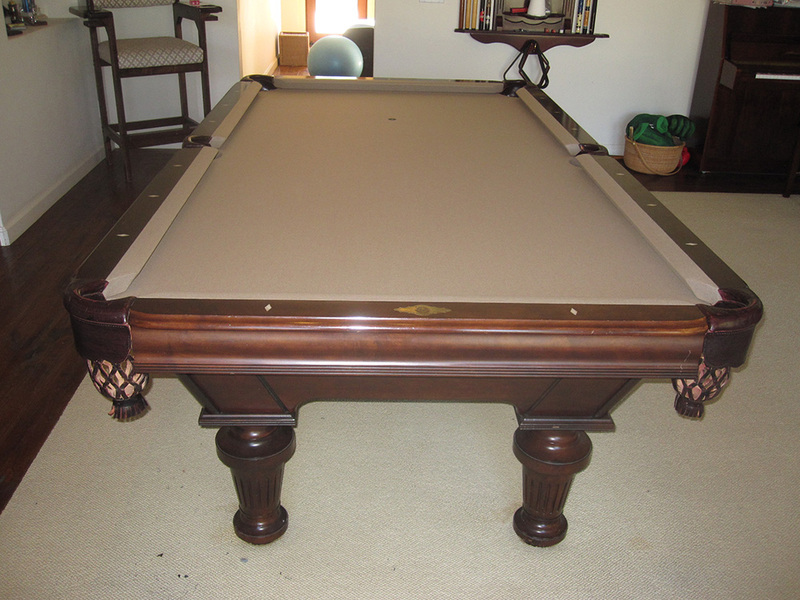 Khaki is one of the more popular felt colors we have in stock. 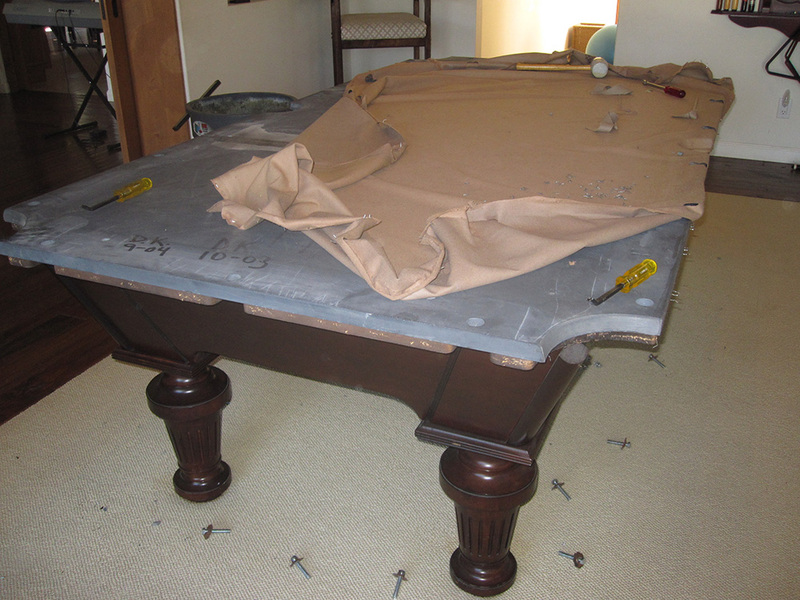 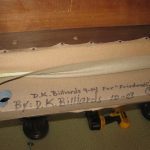 We use Mali billiard cloth for most all of our residential recovery jobs. 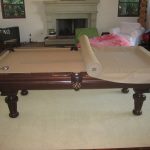 We stock 22 colors of Mali billiard cloth to suit many different interior styles and color schemes. 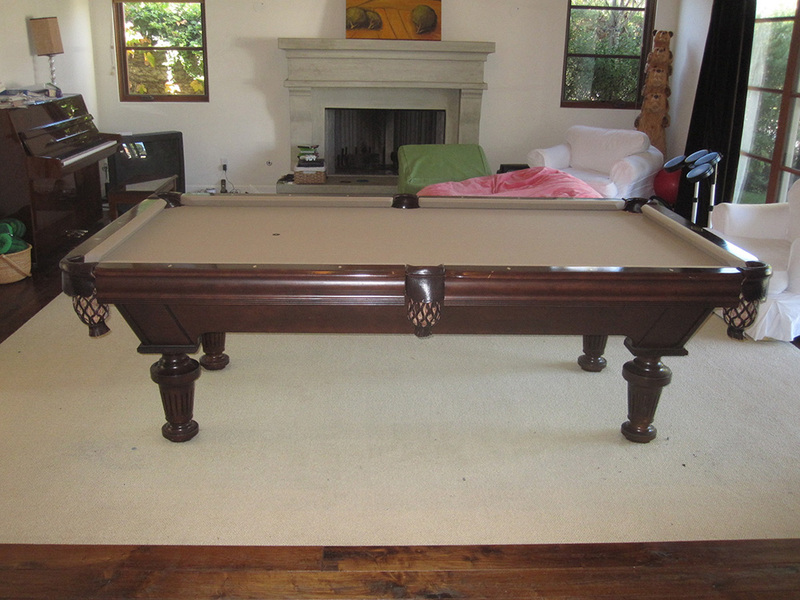 Visit our pool table showroom to see them all.